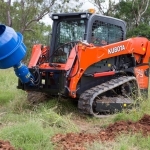 Fencing tasks over rough ground often require post fixing cement to be mixed in small quantities, however rough terrain can often mean a traditional mixer can’t be accessed. 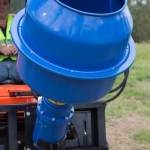 Auger Torque’s Drill/Mix solution changes all that. 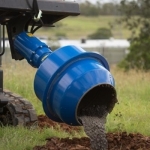 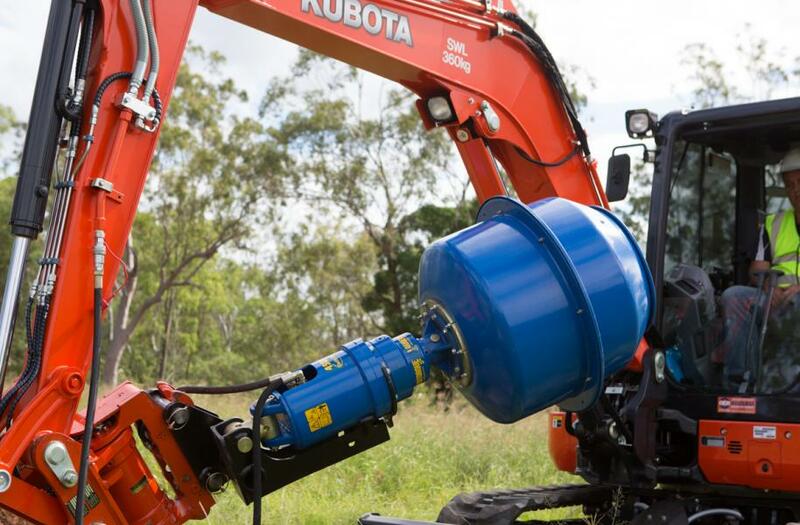 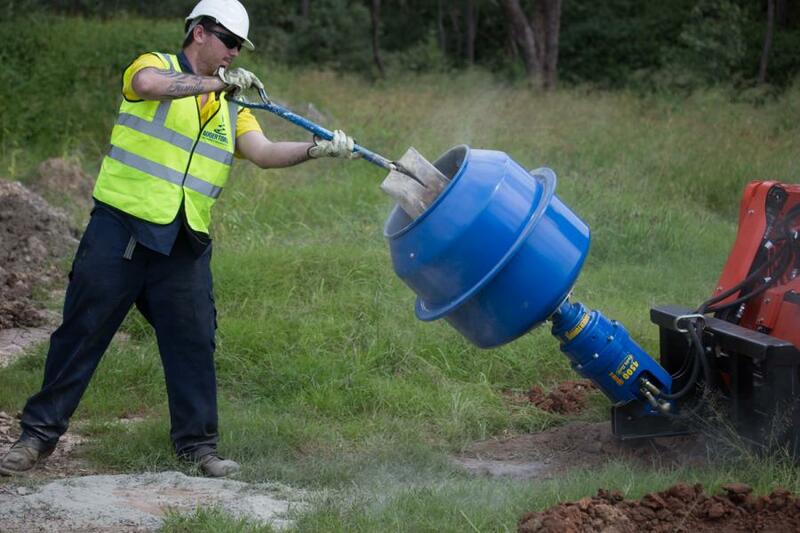 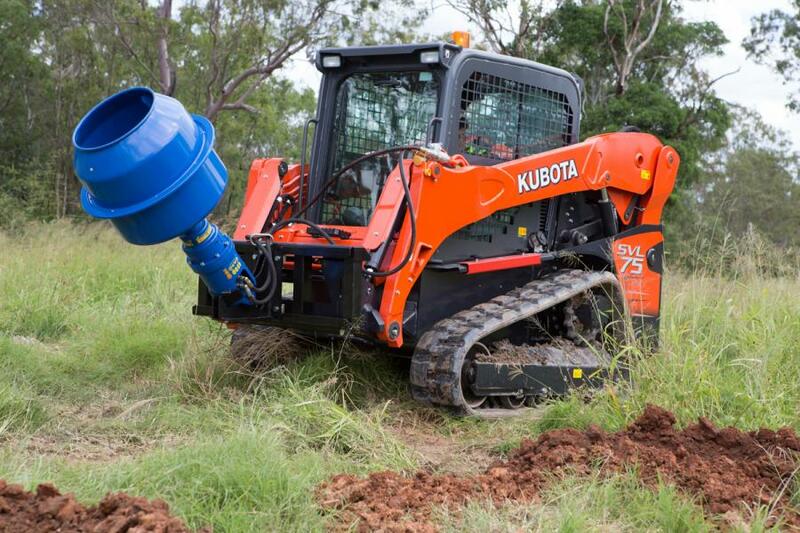 Available in 140 and 180 Litre sizes, the Auger Torque Mixer Bowl attaches quickly and easily to our Earth Drills. 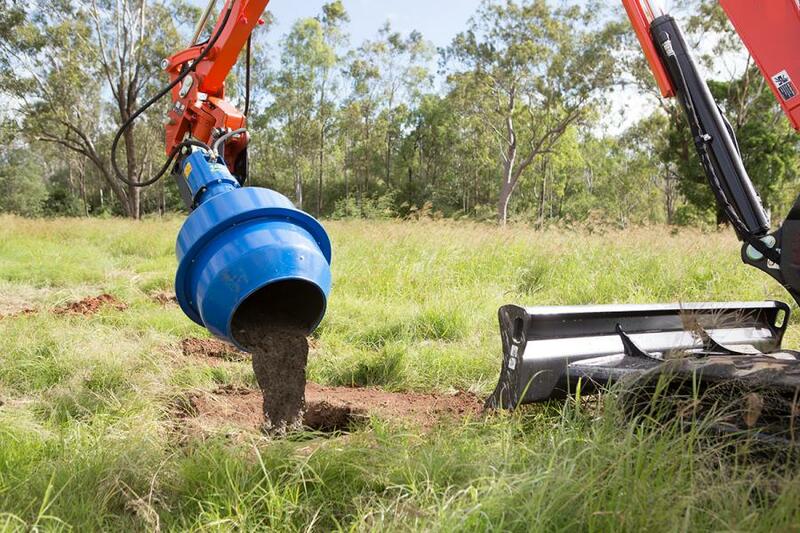 Mixing in inaccessible areas where stand alone machines are not practical has never been easier. 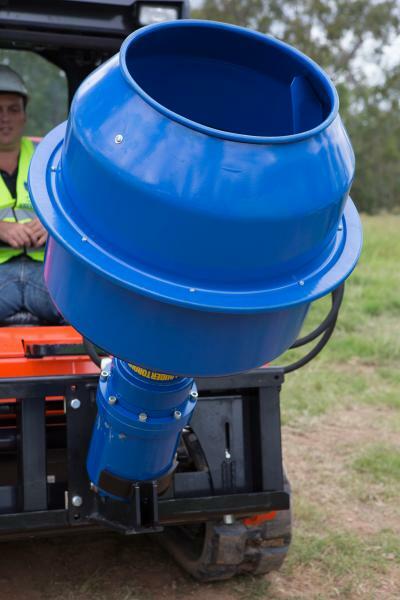 Skidsteer and Excavator mount brackets are available and a Mixer Bowls is the perfect addition to our Mini Loader Earth Drill range. 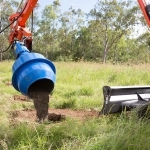 Ideal for fencing contractors, with the aid of the Mixer Cradle Hitch the Auger can be quickly removed and the Mixer Bowl attached and locked in place with the standard Auger Pin. 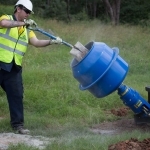 After the concrete has been laid the Auger can be replaced for the next post. 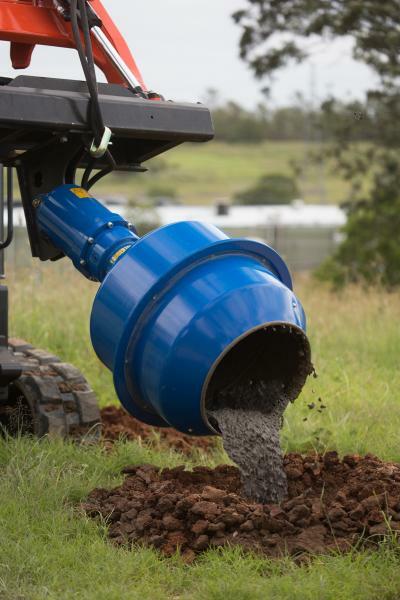 When used on Skidsteer machines the mixer bowl requires the use of a mixer cradle that is mounted easily to any of our skid steer loader frames. 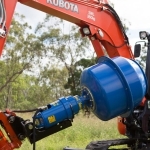 Technical data may be subject to change without notice.